Vaxxed, at its core, is about a whistleblower from the U.S. Centers for Disease Control, who revealed that the CDC concealed and destroyed data on their 2004 study that showed a causal association between the MMR (measles, mumps and rubella) vaccine and autism. The film is not, and has never been, an anti-vaccination film. The ban demonstrates that the Australian government is attempting to shut down all debate on the topic of vaccine safety, and prevent their citizens from having access to a robust, honest discourse about the possible risks of vaccination. The Australian press was equally at fault for propagating a misinformation campaign about the film while it was touring Australia, printing several slanderous and totally false articles about Vaxxed. 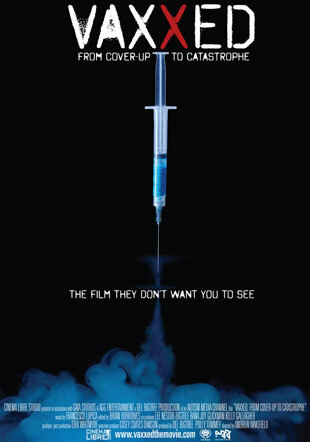 The result of that targeted campaign was that the film was given a new-found visibility in Australia, and subsequently all the remaining screenings of Vaxxed sold out with long waiting lists. Despite their government and media’s attempt at censoring the film and attempting to prevent their citizens from seeing it, thousands of Australians came out to view the film during the two-week tour, making it one of the most successful Vaxxed tours to date. The Australian Prime Minister, Malcolm Turnbull, recently passed a stringent new mandatory vaccination law that requires all children to be fully vaccinated to receive government child-care benefits and rebates. His wife, Lucy Turnbull, is also Chair of Australian pharma corporation, Prima BioMed, which has worked in collaboration with the pharmaceutical companies Novartis and GlaxoSmithKline. It appears that the Australian government has deep ties to the pharmaceutical industry and that it has decided that it’s in its best interest to ban an individual who it perceives as threatening to these financial interests. “The decision of the Australian government to ban one of the producers of Vaxxed for three years is totally shocking and unacceptable. Polly Tommey is the mother of an autistic child who was vaccine injured from the MMR vaccine, and was touring Australia to give a voice to other families of vaccine injured children. This is an extreme freedom of speech infringement and should not be tolerated. We strongly condemn such action, which didn’t happen in any other part of the world where the film was played. We will not, and have never in the past, allowed censorship to block the public from learning about the crucial message in our film. The actions of the Australian government, and others who attempt to censor this film, will only help delay real scientific advancements in vaccine safety that are desperately needed,” says Philippe Diaz, Chairman of Cinema Libre Studio.